A funcitonal and utilitarian bike that is best for the rider who isn't pushing their limits. The Marin Pine Mountain 1 is a smooth-riding hardtail mountain bike with a comfortable cockpit and classic style. The Marin is quick and fun on rolling flow trails with firm dirt. As soon as the trail gets steep or conditions get loose, the Pine Mountain gets sketchy. This bike seems to be built for long, casual, rides as opposed to redline pinning. Testers agree theMarin is very comfortable for long days in the saddle. If you're looking for a bike that can be easily rigged up for a multi-day bikepacking trip and still cruise the local trails, the Pine Mountain is a nice option. The steel frame of the Marin offers a more damp and comfortable ride. Steel transmits less of the trail surface compared to aluminium or carbon fiber hardtails. That said, the upright geometry and lack of a dropper post limit how rad you can get on this bike. If you're looking for a hardtail best equipped to rip a huge range of terrain, check out the Editor's Choice Specialized Fuse Comp 6Fattie. Three seasoned mountain bike testers rode the, 2018 Marin Pine Mountain 1 alongside the 2017 Specialized Fuse Expert 6Fattie. We rode these bikes as hard as we could to help determine the key ride characteristics. In addition, we gained a firm understanding of some of the critical subtleties of these bicycles. The Pine Mountain is best on less-rowdy terrain. The Pine Mountain is a good time on the right terrain. The shorter wheelbase and steeper head tube angle make the steering quick and predictable in rolling, moderate, flow trails. Marin paired the steel frame with 27.5x2.8-inch Vee tires to provide a really smooth ride as well as plenty of traction. When riding through nice, compact, berms the Pine Mountain is fine. Once the trails get steep or conditions get loose the front end of the bike becomes much less predictable and has a tendency to start sliding or to washing out. The Pine Mountain 1 that we tested does not come with a dropper post. Not being to get the seat down and out of the way magnifies the downsides of the steeper head angle. It pushes more of the rider's weight out over the front tire on steep descents, tight corners, and jumps. Not good. Handling is impressive on buff trails with packed soil. The cockpit on the Marin is spacious, which gives the rider the impression that the bike is long. But with a wheelbase of 1140mm, it is actually shorter than some of the top performing hardtails in the test. You can feel the quickness that the shorter wheelbase provides on all areas of the trail. The Marin is balanced on the ground and in the air but definitely feels heavy once airborne. It doesn't have the playfulness that urges a rider to search out every little side-hit and jump like the Specialized Fuse does. The lack of a dropper post and smaller brake rotors are both limiting factors in how rad you can get aboard the Pine Mountain 1. Luckily, at $1299, you could likely add both larger rotors and a bargain dropper post like the Tranz-X to the bike and still be in the same price range as our top ranking hardtails. Riding bikes is a fun activity. The Pine Mountain will get you out on the trails and exploring at an excellent price tag. That sounds pretty fun to us. It is best to keep the Pine Mountain way from significant amounts of chunder. The Pine Mountain can be a really fun bike on well-built firm berms and flowy singletrack. The lack of a dropper post and the steep head tube angle make this bike feel squirmy and uncertain when the trails turn steep or loose. The Pine Mountain has middle-of-the-road geometry. The head tube angle is 67.2-degrees, which similar to the 67.6-degree head angle found on our Editor's Choice Specialized Fuse Comp. A slacker head angle provides more stability and control on steeper terrain and at higher speeds. The short rear end retains a manageable wheelbase. The shorter wheelbase gives the bike it's quick snappy feeling but also makes the bike feel less stable or twitchy at high speed. Don't be fooled, you can still have plenty of fun on this bike. The Pine Mountain 1 features a RockShox Recon fork. We have ridden this fork on many of our test bikes. The Recon's weakest attribute is its small bump sensitivity. That said, when paired with the 2.8-inch, 27.5+ tires this fork felt better than we experienced on previous test bikes. It is still a far cry from a RockShox Pike or any high-end offerings from Fox, but it was decent. The Shimano BL-MT 500 brakes provide pretty good performance for a cheaper Level brake. If you are a larger rider and find that the 180mm and 160mm rotors don't deliver enough stopping power to really let loose on the trail. Upgrading to 200mm and 180mm rotors would be a relatively cheap and effective fix at $60 for SLX rotors. Climbing is impressive thanks to upright geometry and loads of traction. The Pine Mountain climbs well and is comfortable enough to delay the inevitable entrance into the pain cave on long days. The cross country-style geometry and spacious cockpit exude climbing comfort. The heavier weight makes it tougher to recover and continue powering through a technical climb compared to other test bikes. The same geometry attributes that limit downhill performance make it a very comfortable and capable climber. The rider sits above the bottom bracket keeping weight forward in the bike. That forward weight keeps the front wheel from wanting to lift up or wander. Add in the steep head tube and you have quick and predictable uphill turning performance that makes navigating tight switchbacks a little bit easier. Standing or seated, the Marin is an efficient climber. While uphill handling is quick and predictable, the Pine Mountain is tougher to continue muscling through a technical section when the rider gets kicked offline. One factor is the loss of traction when pedaling out of the saddle. When you're putting the power down while standing, it can be difficult to maintain rear wheel traction. Given the steep geometry, it is easy to get too much weight over the front wheel and removing weight/traction from the rear. On technical ascents, line choice and precision is critical. The Pine Mountain is designed around a steel frame and has classic look. It lacks many of the modern touches like internal routing that grace many other test bikes. While the mess of cables running down the narrow tubing of the frame doesn't present the clean look of internal routing, it does make trailside repairs much more manageable. The $1,299 Pine Mountain 1 is the least expensive hardtail test bikes. It lacks some modern staples such as a dropper post, but otherwise, it offers a respectable build of tried and true products. The RockShox Recon works well enough. The Pine Mountain 1 has a RockShox Recon RL fork with 120mm of travel. The Recon has steel, 32mm, stanchions. The only adjustments are low-speed compression and small amounts of rebound adjustment. While it doesn't feel particularly smooth or plush, this fork is serviceable. The Pine Mountain 1 features Marin branded aluminum rims paired with Joytech hubs and Vee Crown Gem 27.5x2.8 tires. The 38mm internal width on the rims is enough to give the plus-sized tire a nice footprint on the dirt. The hub engagement is nothing like you find on a high-end hub, but when you're getting an entire bike for nearly the same price as some wheelsets, there are tradeoffs. The best asset of the Vee rubber was the low rolling resistance. The Vee tires have minimal rolling resistance thanks to fairly low profile ramped knobs in the middle. This is a common practice in plus-sized tires. The traction was decent, we would have preferred a tire with some more pronounced shoulder knobs for both increased traction and a more defined feeling of where the edge exists. The Shimano SLX drivetrain was reliable and crisp. Marin uses Shimano components for the majority of this bike. It uses an SLX 1x11 groupset with 30-42t gearing. The shifting remained clean and true throughout the duration of testing. Shimano BT M500 brakes provide reliable stopping power. These Shimano brakes don't have the abrupt hard hitting power XT or SLX brakes are known for. They have a softer and more gradual increase in power as the rider pulls the lever. Do the bars look empty? It is because there is no dropper post. Marin kept the cockpit duties in-house. The handlebars, stem, grips, seatpost, and saddle are all Marin branded. The handlebars are 780mm wide which was a great fit for some taller testers. It is always nice to see manufacturers keeping up with the trends to deliver a wide bar that can be cut down if needed. This bike does not come with a dropper post, instead, a basic alloy post and tool-actuated seat collar regulate when the seat is adjusted. The Pine Mountain is offered in three different builds. We tested the $1,299 Pine Mountain 1. If the Pine Mountain sounds like the bike you're looking for but you are interested in a higher end to build, the $2,999 Pine Mountain 2 is the only option. The sizeable jump in price affords you a Shimano XT drivetrain and brakes, a Rockshox Pike fork, WTB wheels, and a KS dropper post. The Pine Mountain is a solid choice for those long days on the bike. On the lower end the Pine Mountain transitions to a full-rigid steel machine. A rigid fork steel fork replaces the Rockshox Recon of our test bike. Shimano Deore 1x10 drivetrain and Shimano M425 brakes round out the build that rolls on the same Marin wheels and Joytech hubs as the middle range version. If you are looking to use this bike as your go-to trail bike the first upgrade should be a dropper post. There are a lot of good options at a reasonable price. The Pine Mountain 1 frame does not have any ports for utilizing an internally routed dropper post. External dropper posts are your only option. Brand-X, PNW components, and Rockshox all offer good externally routed options ranging in price from $155 to $230. Whether using the bike for trail riding or packing up the saddlebags for a multi-day ride this Marin would greatly benefit from larger brake rotors and upgraded brakes. 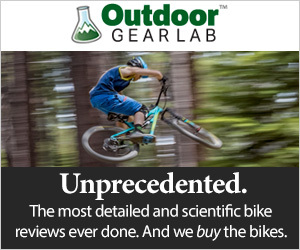 Bumping up to an SLX or Deore level brake along with 200/180mm rotors would drastically improve stopping power, something you'll be needing when you add 30 lbs of camping gear to this bike. You can commonly find a full SLX brakes along with 200mm front and 180mm rear rotors for around $215 from online retailers. The Pine Mountain offers an excellent value for the right rider. If long days in the saddle and minimal doses of gnar sound like your idea of a good time, this bike will work for you. More importantly, the $1299 price tag is attractive. While some components may be lacking, this shouldn't be problematic for the rider just looking to cruise around. The firt upgrade for the Pine Mountain should be adding a dropper post. Regardless of how hard you want to push yourself, a dropper seatpost will greatly enhance your ride experience. Expect to spend between $200-$400 on a nice post. If you want to ride the Marin harder, new tires would go a long way. Having a more aggressive tire will enhance both cornering and braking abilities. Expect to spend $120-$180 for a set of quality Maxxis tires. The $1299 Marin Pine Mountain 1 is a great hardtail mountain bike for its intended application. If you are looking to start exploring the world one pedal stroke at a time, this is a great option. It features mounting points for a rear rack, easy access to cables and asturdy steel frame that will easily support the added baggage of a long journey. When back on your local trails, the Pine Mountain is still a fun option for riding mellower terrain. This is not a do-it-all hardtail but is a nice way to expand your quiver.